* Dual-use battery plate for both Sony NP-F970/F550 Battery and Canon LP-E6 Battey. 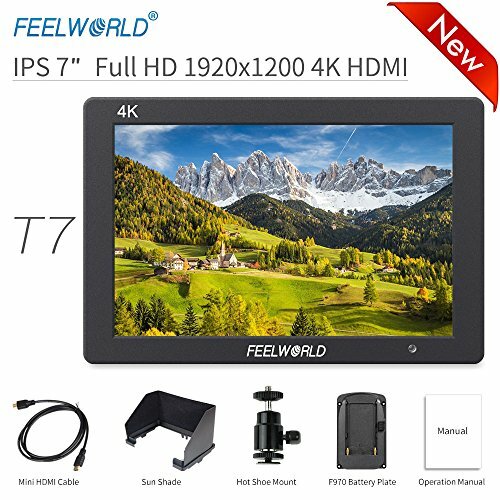 4K HDMI In/Out put without Delay - The Feelworld 5 inch DSLR monitor supports 4K HDMI input and accurately monitor your synchronized footage and still reserve HDMI Output without Transmission Delay. 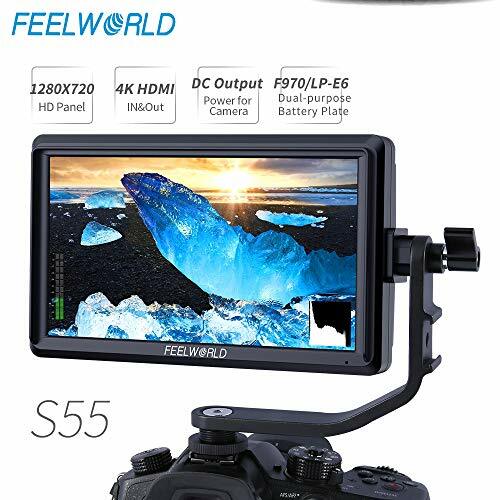 Shortcuts for Better Experience - Feelworld MA5 monitor integrates 2 shortcuts for features like Histogram, Focus Assist , False Colors, Zebra Exposure, Aspect Ratio, Camera Mode, Image Flip, Nine Grid, Zoom, Anamorphic etc. 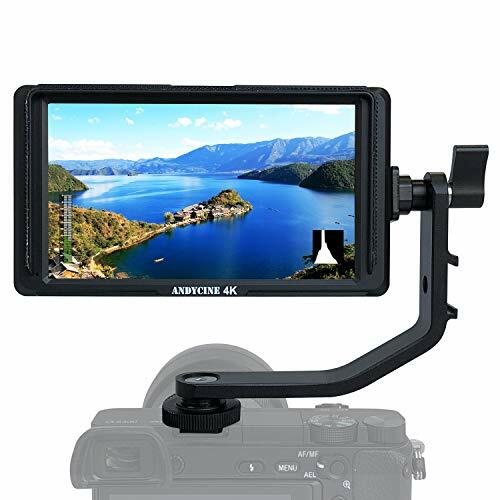 Smallest Monitor with Tilt Arm - The portable MA5 4K DSLR monitor weighs only 4.9 oz, mounts with a swivel tilt arm for selfie mode or different monitoring angles, and three 1/4 thread points for wide applications. GET 5% OFF on F550 Battery Kit, ADD TOGEHTHER NOW! One-year warranty DC 8V Output enables charging your camera by the optional power adapter supply. A Micro HDMI Cable, Multiple functional battery plate for two kinds of Batteries: F970/LP-E6 and durable carring case are free offered. Power output: The SONY NP-F Series or AC Adapter powering the monitor,can also power your DSLR and mirrorless camera with the separately ANDYCINE DC couplers(You may search the ANDYCINE DC coupler to find the one match your Cameras).Long power duration time enable your time lapse shooting and reduce the power shortage embarrassment. Swivel Arm: Always the comfortable viewing angels. Extended attachment application(microhone, led light etc)with the help of cols shoe mount. 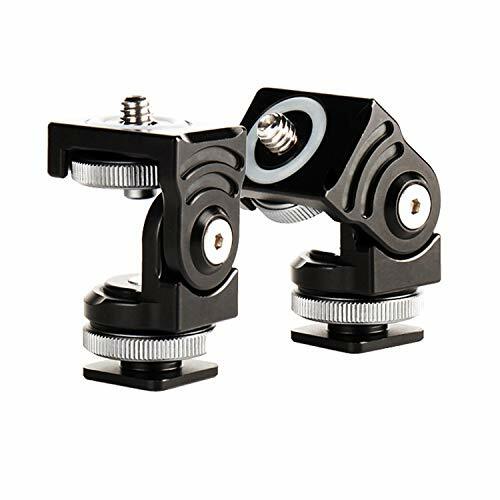 Hot shoe and 1/4 inch screw hole on the bottom easily attach the monitor to camera , camera cages gimbals. Friendly design for your motivation shootings. Multi-Function Signal input and output. Build-in HDMI Input Port, Build-in 3.5mm Earphone jack. Kindly Note The Monitr is Compatible with Sony NP-F970 Series Batteries or Canon LP-E6 Battery(Battey is NOT Included. Please Purchase Separately). Some Nikon cameras can't show images when connect the monitor , please don't worry ,just please disconnect the monitor , and set your camera . 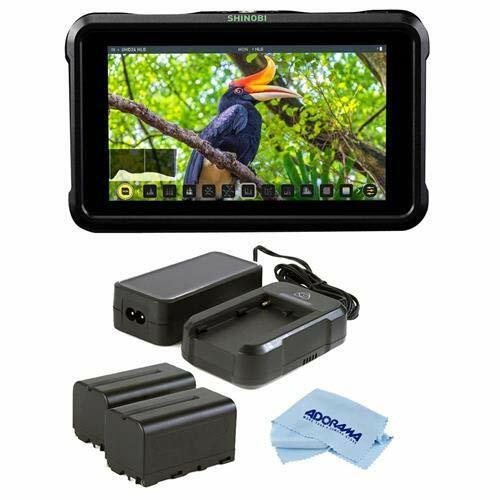 DC-70 is a portable LCD monitor for use with an Interchangeable Lens Digital Camera or an Interchangeable Lens Digital HD Video Camera Recorder with an HDMI terminal and live view mode. It can display HDMI video output from the camera. The following functions help you to see the image more clearly and take better pictures. 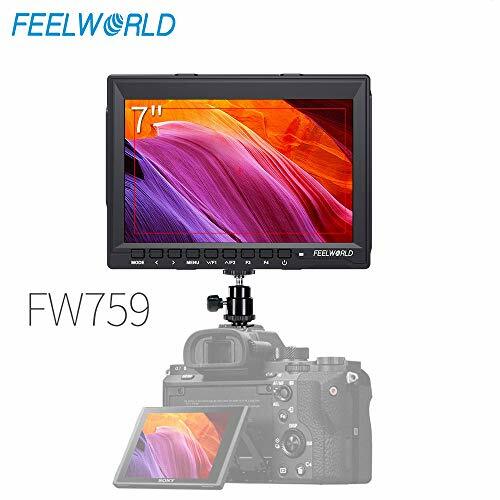 Enjoy Sharper and More Detailed Image With 5.5 inch 1920 x 1080 high resolution, Rec.709 color calibration, FW568 can be added to any cameras to ensure perfect focus and framing. The small form-factor and 175g lightweight construction are perfect for shooters on the go. 4K HDMI Input/ Output Without Delay Support 4K format: 4K UHD 3840X2160p (30/29.97/25/24/23.98Hz), 4096X2160p (24Hz). 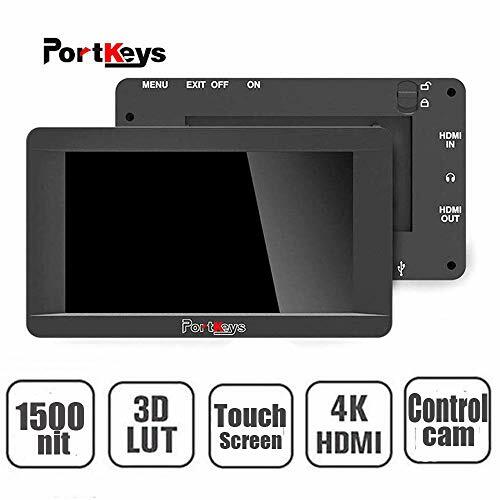 Directly to any DSLR or HD/4K video camera, and send the signal to other monitors, convenient for directors and photographers to monitor simultaneously. Cold Shoe Mounted Tilt Arm 360 rotation of Tilt Arm allows run-and-gun shooters to make quick, smooth monitor adjustments. Included an extra shoe mount for accessories like microphones, video lights. 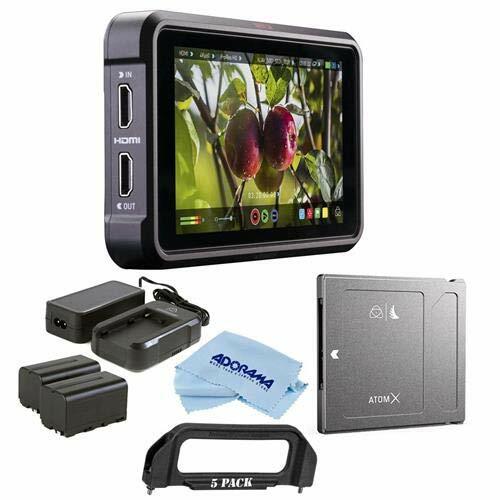 Ideal for Small Camera/ HDSLR Production More than just a monitor or a camera power supply system. FW568 with 8.4V DC output could power your camera to extend the run-time. Dummy Battery (optional for Sony, Canon, Nikon, Panasonic). Integrates with a dual-purpose battery plate: compatible Sony F970, Canon LP-E6. 7" Full HD 1920x1200 high resolution Precise Color, The pixel density of the T7 packs an impressive 323 PPI (Pixels Per Inch) . Sharper images, brings you the perfect visual experience. IPSWider View Angle 160 :Viewing Angle become very important, T7 IPS 160 wide viewing angle allows the operator to have a clear, easy-to-see image as their position shifts. T7 uses the professional Rec.709 HD color standard, and uses the color calibration technology, it can achieve monitor calibration efficiently and get accurate color reproduction easily, do not distort the color, show the real image when you shooting video. More Auxiliary Functions: integrated histogram, embedded audio, peaking focus assist, false color, exposure, check field, nine grid and zoom in professional functions, assist users to accurately exposure and focus when shooting, making and playing movies/ videos. Ultra-thin Lightweight Design:Hard aluminum shell Specially designed to merge portability, and functionality, 18mm thickness 320g the T7 gives you freedom to shoot well anywhere. See your picture accurately, consistently and clearly, regardless of your position. Hard EVA outer shell, Water Repellent. Compact and easy to store in backpacks or carry-on luggage. Built-in Mesh zippered pocket, Holding Belt and Zippered Closure provide all-around protection. 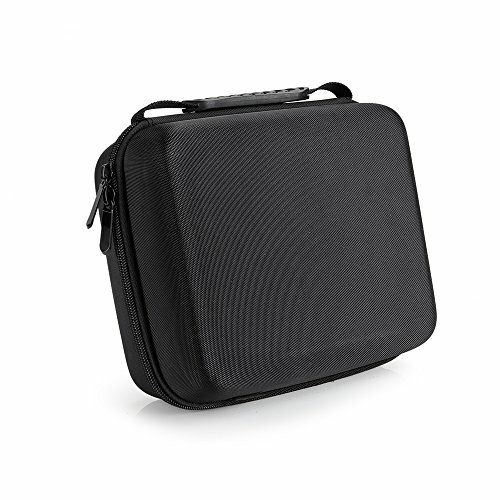 EVA Carrying Travel Case designed for a range of devices and accessories, batteries, chargers, cables, adapters, monitors, LED video lights and other more devices. This Pergear case, used together with our cutout sponge blocks, will greatly increase its protection capability and maximize its value in use. Note:There is not include battery in product,but you can choose one of the battery plate at your will,please remark which one battery plate you want to get,if you don't remark it,we will give you standard F970 battery plate. NOTE: Battery,Charger,Camera,Tripod are NOT included in the item. Wide View Angle IPS panel with LED Backlight, Support 4K input, Ultra HD 1280? 800 resolution, suitable for Cameras with Mini HDMI interface. Compatible with Sony NP-F550 Series Batteries. [4K HDMIInput and Output]Support 4K HDMI signal Input Up to 3840x2160P(30/29.97/25/24/23.98Hz). HDMI Output features can transfer the signal to secondary monitor and wireless video transmission system quite convenient for monitoring. CE, EMC, FCC, RoHS certification approved. 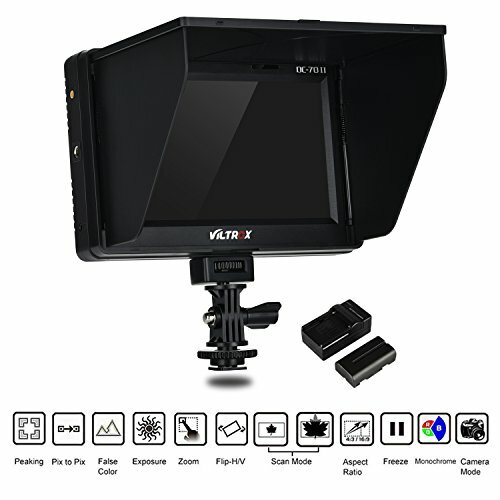 8.9 inch 4K full HD monitor with 1920*1200 high resolution, tight pixel density and high brightness, produces excellent image quality and great visual experience for the photographer's professional needs. Multiple Features: including Color Temperature Settings, False-color, Peaking Focus Assist, Histogram, Monochrome, Zooming Pixel, Safe Frames, Image Flip, Check Field, Pixel to Pixel ect. 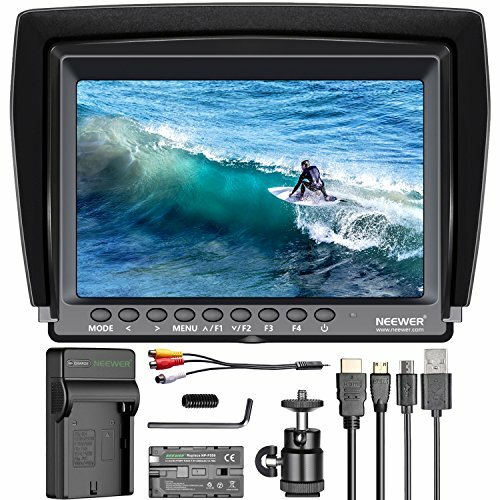 The monitor has HDMI input/out, AV input, headphone jack and upgrading USB port to use for mirrorless camera/digital camera/ digital HD camcorder to display real-time HDMI video signal from camera. Powered by AC adapter(NOT Included) or Battery. And Li-ion battery with battery charger are in package. Via standard shoe adapter, let you adjust several directions for this monitor and connect with DSLR Cameras, Video Cameras, Cameras, etc. Wide view angle IPS LCD panel, great for live-view work. Removable sunshade can avoid the strong light in better viewing effect when monitor works and protect the screen when storage. 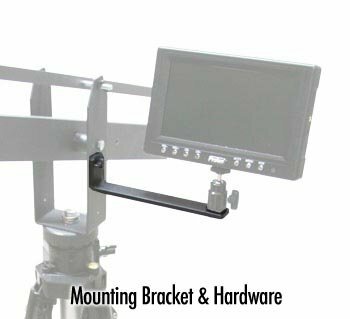 Includes "L" shaped bracket which attaches to the side of the crane's tripod/stand mount to attach standard LCD monitors with a 1/4" x 20 threaded mounting hole. If your LCD screen can mount to a tripod, it will be able to attach to this bracket. We recommend the purchase of a swiveling, accessory shoe adapter to compliment the bracket. 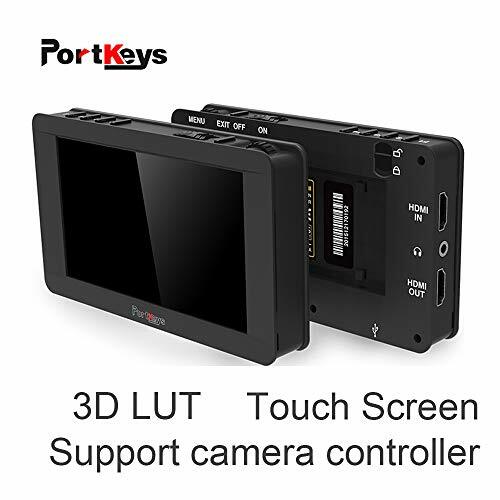 Please note:This LH5T5 inch touch screen DSLR field 4K camera monitor only including the "Sony BP5-ST Battery Plate",Dummy Battery and Long Arm Camera Controller should be bought separately. 5" Camera Field Monitor---High Resolution:Full HD 1920x1080;High Brightness:450cd/m2;High Contrast:1000:1;Wide Viewing Angle:160 H/160 V;Small Size142 82 20mm;Light Weight:150g; Histogram,Zebra exposure,Camera Mode,Image Flip,Check field etc. Provide the much professional assistance on your shooting. 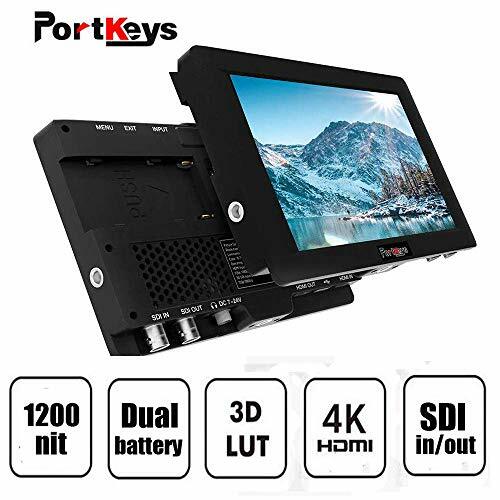 4K HDMI In/Out Put Without Delay--Supports 4K HDMI input and accurately monitor your synchronized footage and still reserve HDMI Output without transmission delay. Warranty---Two-year warranty.Any problem,just feel free to contact us.What you get:1 LH5T Touch Screen Monitor,1 Power Adaptor,1 Plastic Sunshade,1 Sunhood,1 Battery Plate,1 Screen Cleaning Wipe,2 LH5T Screen Protector,1 USB Drive. 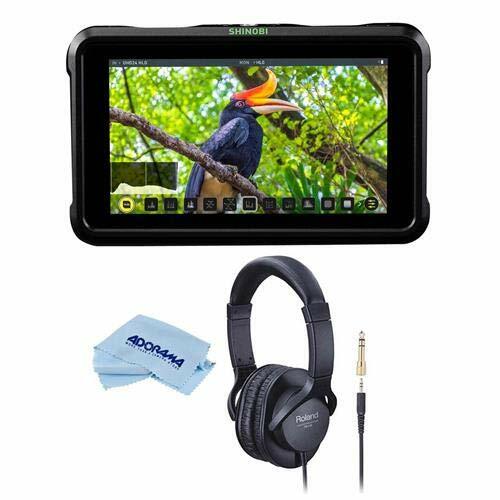 Amazing Shooting Experience 5.5" LCD display with 1280X720 resolution shows bright, clear images - making it an ideal monitor for the gimbals and lightweight camera systems especially those without a built-in display. 4K HDMI Input/ Output Without Delay Support 4K format: 4K UHD 3840X2160p (30/29.97/25/24/23.98Hz), 4096X2160p (24Hz). S55 Features HDMI I/O connections to HDMI cameras and can output to larger on set monitors for instant review. Tilt Arm Mounting for 360 Rotation 360 rotation of Tilt Arm allows you tilt the view for excellent framing. Included an extra shoe mount for accessories like microphones, video lights. 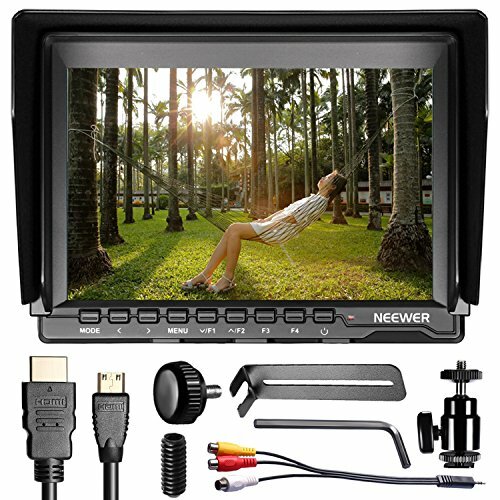 Real-time Camera Power Supply System With the battery users can power both the monitor and their camera, extend the camera runtimes, thanks to the monitor's 8.4Volt power output. Dummy Battery (optional for Sony, Canon, Nikon, Panasonic). Integrates with a dual-purpose battery plate: compatible Sony F970, Canon LP-E6. Unleash Your Camera's Full Potential Have three fast keys for quick operation. Designed to unlock many of your DSLR's restrictions and add on the professional features you expect to see on high-end cameras. Include Focus Assist, Histogram, False Colors, Zebra Exposure, Aspect Ratio, Image Flip, Nine Grid, Zoom, Anamorphic, Image Flip, Safe Area, etc. 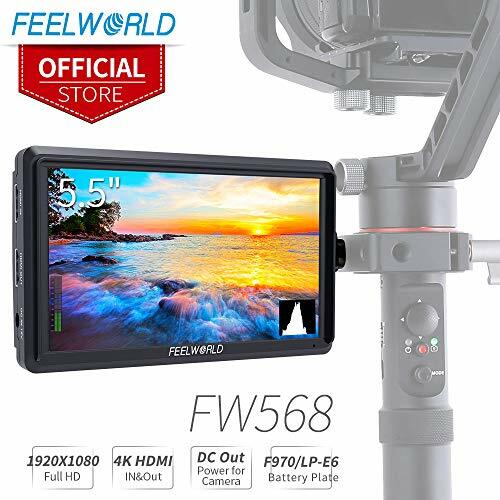 One-year warranty we are the FEELWORLD Official Store, we sincerely have the ability to help you solve the problem, just feel free to contact us. 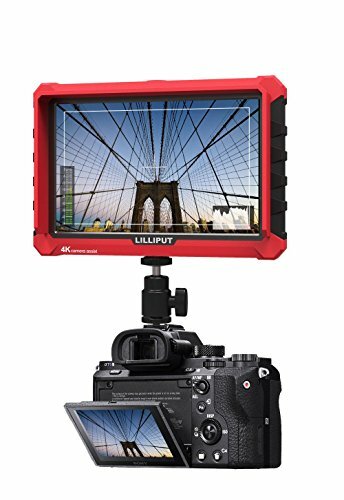 Integrated 4K in/out Through-Put: The Lilliput A7S field monitor is fully compatible with 4K HDMI signal Input and Loop Output allowing other 4K devices such as alternate HD field monitors or recorders to be connected simultaneously. 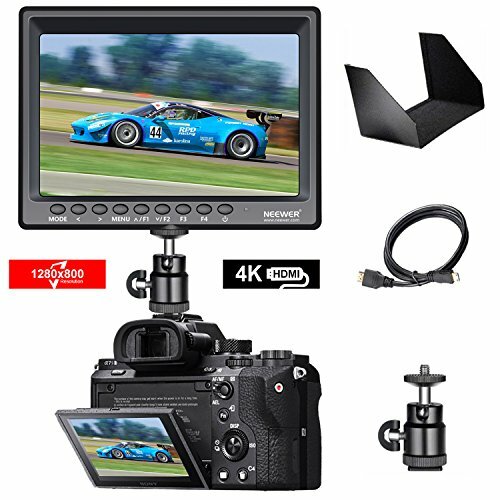 F1/F2 Programmable Hot Keys: With an easy to navigate menu - the A7S 7 inch monitor features 2 fully customizable F1/F2 hot keys allowing you to set them to quickly access your favorite camera assist functions with no need to scroll through the A7S menus. 4K HDMI Input & Output - The 7 inch camera-top monitor can support 4K HDMI signal and can loop output to the other monitor or device when HDMI signal input to lilliput A7S. 1920 x 1200 High Resolution - This On-camera hdmi field monitor features with IPS LCD Panel of 170 degree wide viewing angle, 8 bit 16:10 (324ppi), 1000:1 High Contrast, and 500cd/ High Brightness. Eliminate your camera's internal compression and time limits - record up to 4Kp60 10-bit HDR video direct from your camera's sensor over HDMI 2. 0. Teamed with a 1TB Atom SSD mini you can now achieve up to 150 minutes of 4K recording on a single drive! And when you're done, your edit-ready ProRes and DNxHR recordings are stored on affordable SSD drives. FEATURES: HDR/SDR - The Ninja V displays 10+ stops of dynamic range in real-time from Log/ PQ/HLG signals. See your images clearly in daylight on the near edge-to-edge anti-reflection screen pact Monitor Recorder - The new Ninja V features a stunningly bright 5. 2" 10-bit HDR monitor with an astounding 1000 nits of output. The sleek aluminium body is crafted for maximum durability, weighing in at just 320g and measuring only 25mm thick. Playback - Atom OS allows accurate set up and one-touch operation, ensuring a great recording every time. Of course, a recording isn't complete until checked; Ninja V allows instant playback, slow motion and frame-by-frame analysis for immediate review. Record 4K HDR Gaming - Ninja V is a stand-alone system for 4k UHD, HDR and high frame rate capture that eliminates expensive, complicated and unreliable PC setups. Ninja V enables simple recording, monitoring and instant review. Capture every detail in HDR and automatically include all the correct HDR flags ready for upload to YouTube. SSD Made Mini - Atom OS has worked closely with their drive partners at Angel bird and Sony to bring you the Atom . These tiny drives are only 7mm high and 80mm long. They retain the same SATA III connector as traditional SSDs and they are backward compatible with our range of Ninja, Shogun and Sumo devices. Great Sound - Like all Atom OS Monitor/Recorders, Ninja V enables audio input directly from your camera. The shoe adapter helps to install the devices on the dslr camera or its cage quickly and the 1/4"
hard oxygen treatment. 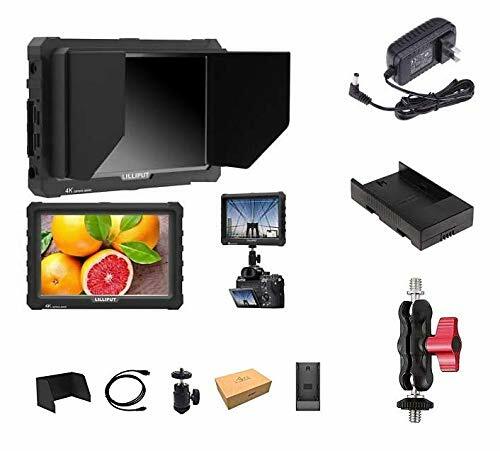 SMALL BODY BUT POWERFUL for monitor Atomos Ninja V Flame 5"
High Brightness---7"1200-nit screen,the camera monitor allows you to see your images clearly and widely.High Resolution:1920x1200;High Contrast:1200:1;Wide Viewing Angle:178 H/178 V;Small Size190 142 20mm;Light Weight:300g. Updated Features--- Support 3D Lut,can store 20 sets of LUT files. Audio Levels Meters. Histogram, Aspect, Peaking, DSLR Scaling, Zooming, Audio Post, False Color, Pixel to Pixel. Advanced Design--- support claymore,connect claymore wireless video transmission,HS7T will become one wireless monitor. (claymore not included) Dual swappable battery supply,make it very easy for you at out side. Support dummy battery,can power to the camera by dummy battery directly. 3G-SDI/HDMI Inputs&Outputs Without Delay--Supports 4K HDMI/3G-SDI input and accurately monitor your synchronized footage and still reserve HDMI/3G-SDI Output without transmission delay. Warranty---Two-year warranty.Any problem,just feel free to contact us.What you get:1 HS7T Monitor,1 D-TAP B ANTO - 4 PIN Aerial Cable,2 Screen Protector,1 Cleaning Cloth,1 Tiny cloth bag for Cable,1 USB drive,1 Black gift box. 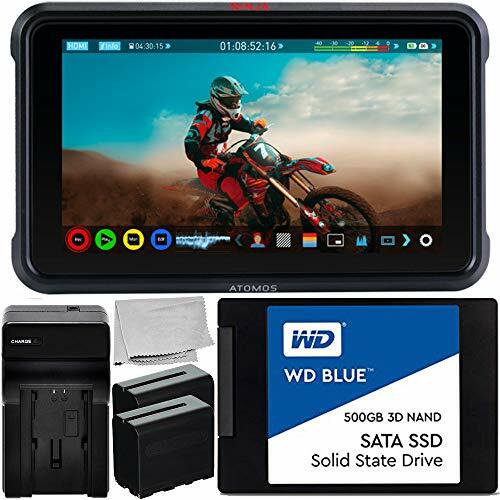 The Atomos Ninja V 5" 4K HDMI Recording Monitor is a 5" on-camera monitor/recorder that records and plays back DCI 4K, UHD 4K, and HD video from purpose-built mini-SSDs. It features a 10-bit FRC IPS screen with a brightness of 1000 cd/m , which makes it suitable for use in both exterior and interior conditions. The AtomHDR display technology allows you to accurately monitor your log gamma footage without having to view flat, washed-out looking images or use a LUT to compress the dynamic range and color space. The monitor supports popular log formats from Sony, Canon, Panasonic, ARRI, RED, and JVC cameras. The settings only affect viewing, with recorded video remaining unaltered. Built to withstand the rigors of production, the Ninja V features an aluminum chassis and powers from a single L-series battery. Additional features include a variety of onscreen exposure analysis, framing, and focus assist tools, as well as anamorphic de-squeeze. A power supply and SSD Caddy are included with the unit. 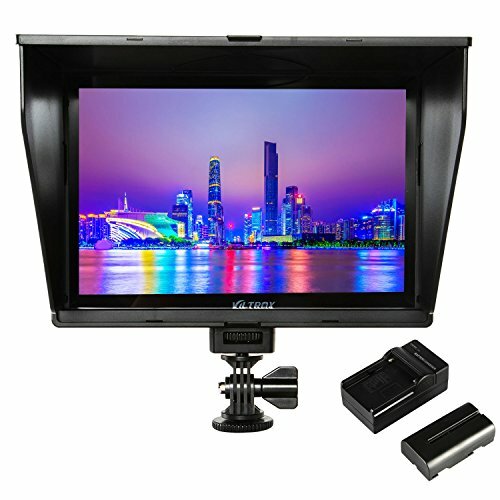 Please note:This LH5 HDR monitor only includes the "Sony NPF Battery Plate",not include any battery. Ultra Brightness---With a stunning 5" 1500-nit screen HDR display,440 pixels per inch, the camera monitor allows you to see your images clearly in daylight.High Resolution:1920x1080;High Contrast:1000:1;Wide Viewing Angle:160 H/160 V;Small Size142 82 26mm;Light Weight:200g. 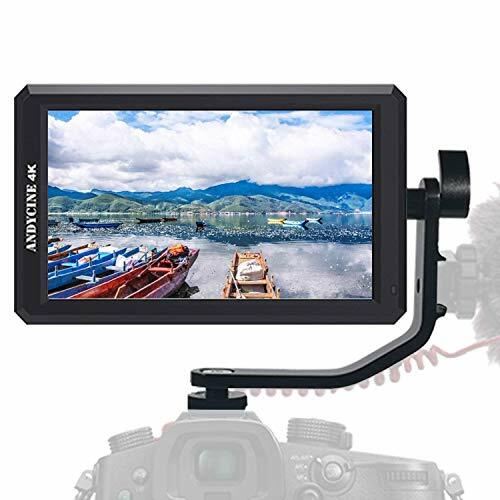 Compatible with Gimbal---LH5 HDR is an ideal, portable and lightweight video monitor with 3 -20 thread points, 200g weight which can be easily connected to the DSLR camera, camcorder, handheld gimbal, video camera crane. Warranty---Two-year warranty.Any problem,just feel free to contact us.What you get:1 LH5 HDR Touch Screen Monitor,1 Sony NP-F Battery Plate,1 Screen Cleaning Wipe,2 LH5 HDR Screen Protector,1 USB Drive. 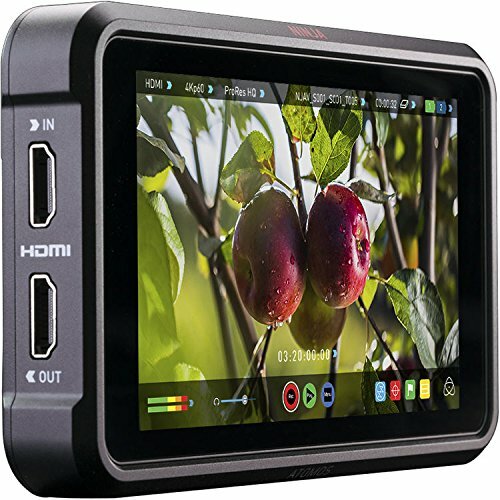 - This 5 inch monitor can be compatibility any DSLR camera, camcorder which with HDMI input. -When your production is on the go, bring this lightweight, compact CamKoo Ck5 5" Full HD HDMI On-Camera Monitor which provides a bright 5" IPS LCD display, numerous advanced monitoring features, and support for up to 4K input. supports up to 4096 x 2160p resolution via its HDMI input and output ports. zebra, zoom, image flip, and more. 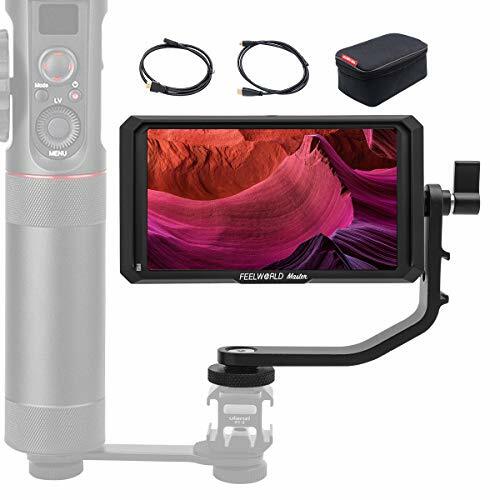 -The monitor can be mounted via a 1/4"-20 thread on the side and bottom, or the included tilting arm can be used to mount it to a stabilizer or camera shoe mount. -The CK5 is powered by one F970 or LP-E6 battery using its built-in, dual-purpose battery mount. -An 8.4 V DC barrel output can be used to power your DSLR or mirrorless camera. Batteries and power supply are separately available. -A micro-HDMI cable or Mini HDMI to connect your camera and a sunshade to protect the monitor from sunlight are also included. -The CK5's focus and exposure tools include focus peaking indicators (red, green, and blue) that highlight parts of the image that is in sharp focus. In addition, false color tools make it easy to properly set exposure. -The Ck5 is equipped with an HDMI input and output, allowing for connection to 4K cameras and passthrough video. 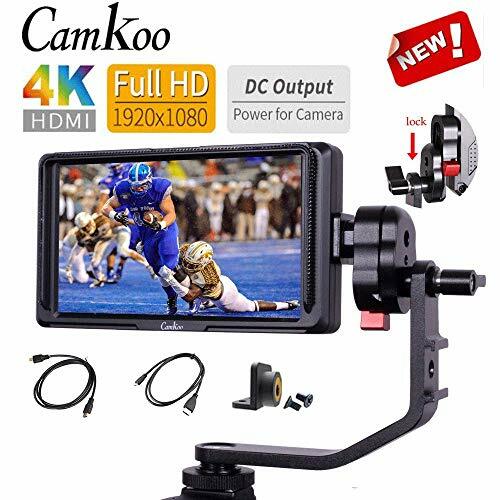 Newest Improve User Friendly Design CamKoo CK5 is 5 inch full HD 1920X1080 Full HD resolution, with Rec.709 professional color calibration, accurate color reproduction, small size lightweight only 0.31lb, big production value for camera and gimbals setups. PROFESSIONAL FIELD MONITOR Focus and exposure tools include focus peaking indicators (red, green, and blue) that highlight parts of the image that are in sharp focus. In addition, false color tools make it easy to properly set exposure. The false color tools work by highlighting specific color ranges of luminance with a solid color overlay.